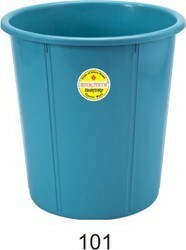 Pioneers in the industry, we offer dust bin 101stripe (5.5 ltr.) from India. Waste bin with shine lool dark colors. Colors- dark blue / red / green / pearl yellow / blue / red.